Long before there were planes, trains, and cars, people used waterways and boats as a means of transportation. They would use them to transport people and goods from place to place. One of the major downfalls of choosing water transportation over the other forms was that travel could be slow due to river currents and not enough people to operate them. Because of this, the Steamboat was invented. Steamboats would have an engine that would burn coal to turn water into steam and power the boat. The steam was used to manage a propellor or paddlewheel. Some boats had a single paddlewheel, while others would have a dual set. The steam engine was invented by James Watt in 1769. The unit of measurement for power (watt), was named after this inventor. His steam engines were known to be smaller in size and they didn't use as much coal to power the boat. His steam engines were in high demand when the steamboat designs started coming into play. Some of the most common name sin the steamboat industry are John Fitch, James Rumsey, and John Stevens. These men were some of the first people to build a scientifically successful steamboat. While these men were successful in the industry, Robert Fulton is credited with designing the first commercially successful steamboat by combining a steam engine and hull design. Prior to this he had successfully built and operated a submarine in France. Robert Fulton's North River Steamboat (or sometimes called the Clermont) was invented in 1807 and had huge success. It led to increased exploration and settlement by opening up two-way river transportation. The steamboat would travel from New York City to Albany in 32 hours, while regular sailing ships and other boats would take almost four days to complete the trip. The total trip consisted of about 150 miles and the boat could carry up to 100 passengers per trip. The boat was extremely noisy and many people called it "Fulton's Folly" thinking it would eventually explode. A few years later in 1811, Robert Fulton and Robert Livingston designed the "New Orleans". The New Orleans traveled on the Mississippi River carrying a great deal of passengers and goods. Soon the steamboat industry went from New York City to across America. In the 1850's the industry was at a great success transporting goods and people quicker than ever before. As their popularity and success rose, their dangers were noticed by travelers as well. The navigation of the boats could be difficult and lead to captains experiencing mishaps such as log jams and shifting channels. Traveling downstream was quite easy, but traveling upstream was a little more difficult for the boats.There were even many deaths caused by boiler explosions on the steamboats because of poor design. The ships could also be the target of many Native American Attacks. The use of the Steamboat played a big part in Westward Expansion. By the 1870's though, the invention of steam powered railroads quickly took the boat's place. Transporting goods and people were became faster and more efficient, leaving the steamboat as a second choice. 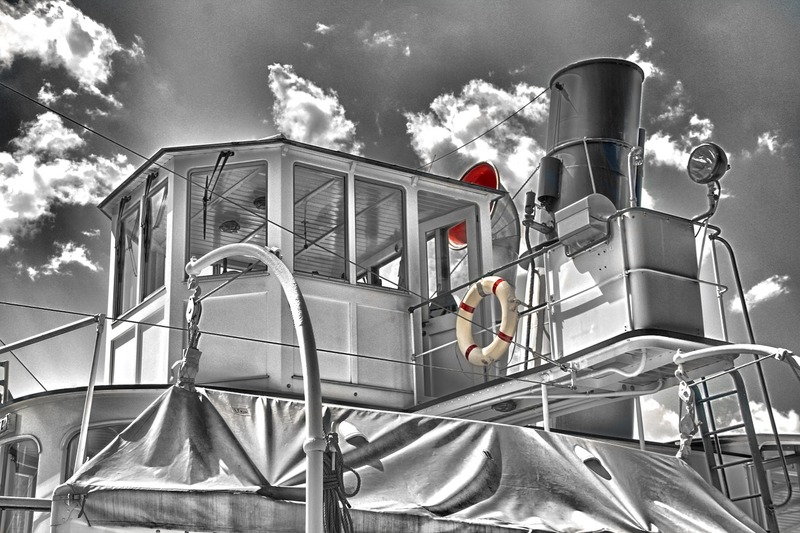 Steamboats are still used in the United States today, but as a very small portion of transportation due to many developments in technology over time.